Can You Still Trust Peyton Manning As Your Starter? 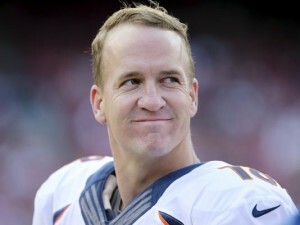 Peyton Manning is still making alterations to a career script that exhibits nothing short of an illustrious career. He has now exceeded 70,000 career passing yards, and has thrown 533 touchdown passes. These are only two reasons why he will forever be considered among the greatest signal callers of all-time. And yet… it remains extremely difficult to ascertain how proficient he can still be in 2015. 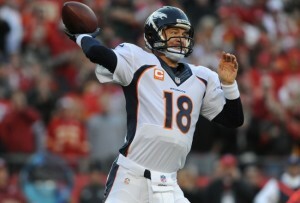 Both while performing in his role as quarterback of the Broncos, and as a viable QB1 for fantasy owners. This question escalated in the aftermath of several unquestionable issues during Denver’s underwhelming Week 1 performance, which resulted in Manning's meager output of 175 passing yards with no touchdowns. Manning’s accuracy was hardly stellar, particularly when attempting longer throws. Nor was his offensive line providing him with a clean pocket against the Ravens. Plus, his comfort level within the new offense was noticeably low. Ahh… yes… the new offense. That uneasy marriage between Manning and Gary Kubiak's strategic approach continued during the Week 2 matchup with the Chiefs, which took place just four days after that discouraging Week 1 performance. The initial results of Manning’s sojourn to Kansas City for that prime down AFC West showdown did nothing to quell the escalating concerns, as Denver’s misfiring attack was fluctuating somewhere between unsightly and unwatchable. His pick six in the second quarter prompted many within the fantasy community, along with other observers and fans, to openly and emphatically question why Kubiak would force feed his approach. Because it effectively relegated Manning to a rudimentary game manager role, while eviscerating his strengths. His expertise in guiding unrelenting drives throughout his legendary career was being cast aside. Instead, his role was reduced to repeated handoffs, and simple throws from under center. And the results were proving to be disastrous. Then, Manning's capabilities ascended to the forefront. Once he took charge of the attack, it ignited Denver's offense. 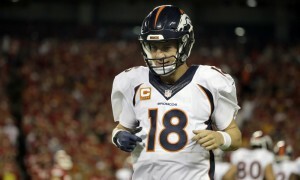 Suddenly, Manning was in the shotgun, while operating in firm command of a no huddle attack. As a result, throws were completed, the Bronco offense ignited, and there was Manning leading his unit down the field once again. This in-game transformation sparked an amazing comeback, as Manning overcame his excruciating start, and eventually produced three touchdowns. 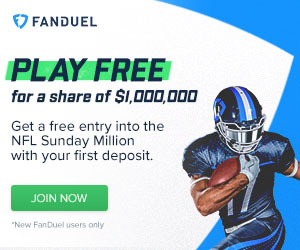 In the aftermath of the massive script transformation that occurred within the Bronco/Chief matchup, where does this leave our assessment of Manning as we progress through the upcoming weeks? Does this mean that now everything is “okay”? That he will now begin shredding opposing defenses with the same meticulousness that he did in 2013 and the first 11 games of last season? The belief from here is no. He is no longer able to connect on deep balls with pinpoint accuracy, which leaves potential big plays on the table. And he will not be able to overcome every collapsing pocket that resides in his future. However, he can still be considered as a QB1... providing that Kubiak avoids placing shackles on Manning’s ability to perform through sheer determination to run his (Kubiak’s) own system. If Kubiak allows Manning to proceed with what he does best, then the veteran signal caller is still fully capable of leading the offense downfield. Through guile, determination and experience. Plus, he possesses exceptional talent at wide receiver, which Demaryius Thomas and Emmanuel Sanders demonstrated yet again to everyone that witnessed Denver’s comeback victory. All of which makes determining Manning’s viability as your QB1 a weekly proposition. That does not supply the clarity that you may have been hoping for, but how he performs is linked to the offensive approach that Kubiak chooses. Owners should make sure that an acceptable backup is firmly in place on your rosters. Then, remain aware of upcoming matchups in which the Broncos might struggle to establish a ground game. Those are the contests in which the passing game will be more critical, and Kubiak will be more likely to allow Manning to work from the shotgun. Then, he can guide the team in a manner that resides within his comfort zone. As with so many other aspects of fantasy football, you will have to assess Manning's situation on week-to-week basis. Category - NFL Coverage - Can You Still Trust Peyton Manning As Your Starter?